It seemed a strange coincidence that the Boston Marathon fell immediately after Easter in 2014. My “patient partner” Erica, who has a rare disease and for whom I was running, lamented this scheduling confluence; coming to Boston to see me run the marathon and to be part of the special weekend of activities meant leaving her family and cherished traditions behind on this important holiday. I lamented it a little too. I love Easter; I love celebrating Christ rising from the dead and the new life offered to us as a result of him overcoming sin and death. After moving to Boston and being separated every year from my immediate family on this holiday, I came to find even more spiritual joy in this resurrection. The kind of pure bliss I often experience only while running. But this year, I was distracted from Easter because I was utterly consumed by the marathon. 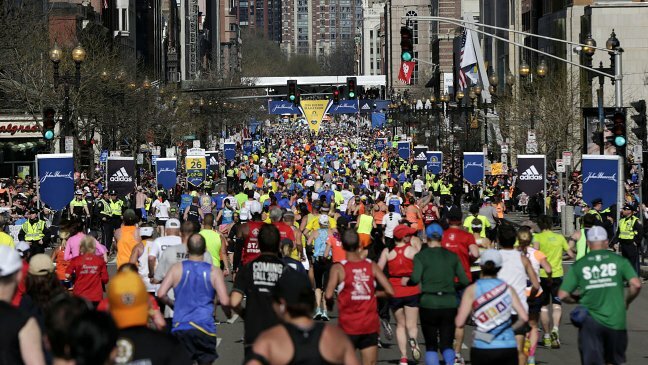 In many ways, my life ever since that horrific moment in the 2013 Boston Marathon, when three people were killed and hundreds injured, had been leading up to this race. I knew immediately I would run again the following year, as did so many others. There was no choice, no other way to reclaim our race and all that it stands for, than to run it again. We needed to cross the 2014 Boston Marathon finish line. A friend and teammate of mine has been injured (not due to the bombing) for over a year, and she had no desire to run the marathon again this year. While the majority of the marathon would be downright fun for me even though the final miles would be torturous and I’d have difficulty walking the next day, for her it would be nothing but extreme pain from start to finish. But she did it, even though it took her more than six hours, because leaving this race unfinished was not an option in her mind. After spending hours stranded at Boston College last year without a phone, wondering if her entire immediate family who had been at the finish line were still alive, and after all the blood, sweat, and tears she’d put into training and fundraising for this race two years in a row, she had earned that finish line. She needed to cross it. We all needed to cross it. The colors of this year’s marathon jacket were controversial. 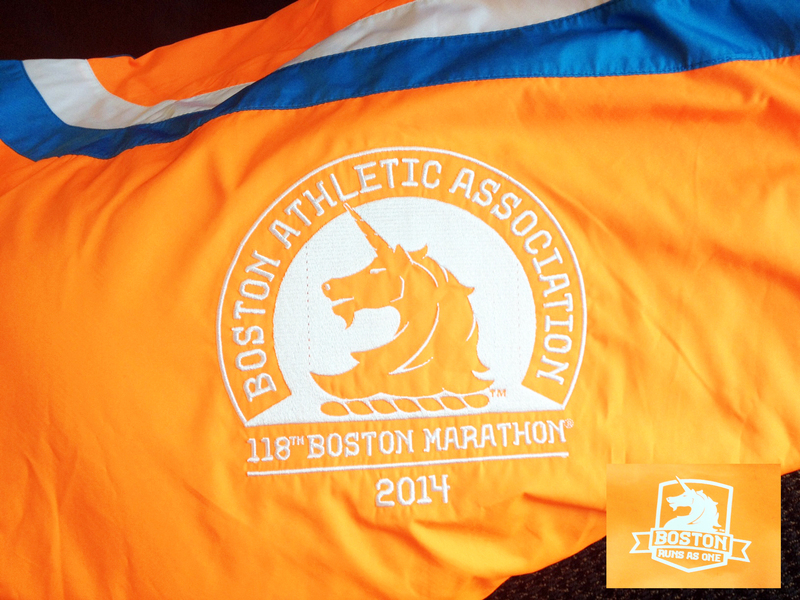 The colors of this year’s marathon jacket were controversial – a loud orange and electric blue. Adidas, the official clothing sponsor of the race, commented that they’d chosen these colors because they wanted to show that we had turned a corner. We weren’t enslaved to or dwelling on what had happened last year; we were moving on; we were victorious. 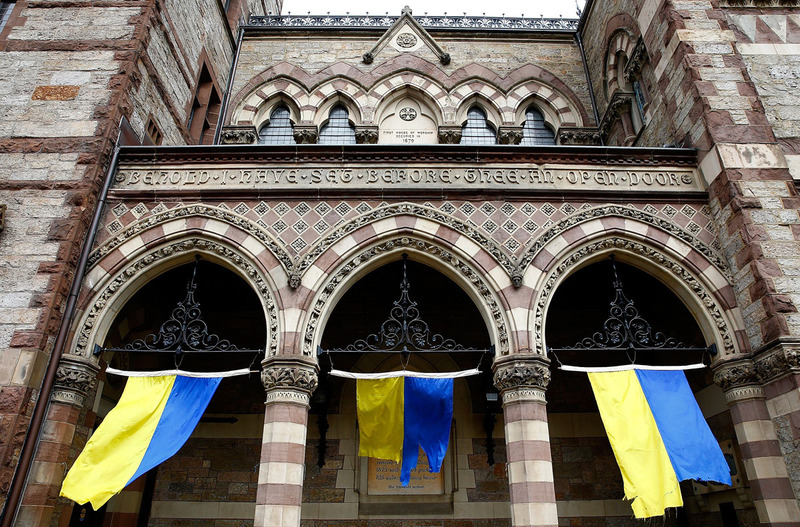 The Good Friday colors wave outside of Old South Church in Copley Square on the one-year anniversary of the bombings. 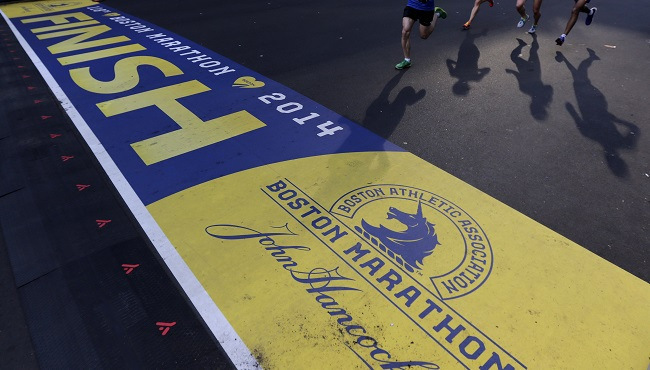 I hated the colors – until the day after Marathon Monday. I had refused to buy the official jacket but I still wanted some 2014 clothing, so I’d purchased a bright orange running T-shirt and a dark blue track jacket with marathon orange and blue stripes. I donned these items on Tuesday, looked at myself in the mirror, and surprisingly loved what I saw. I realized that I couldn’t have worn these colors two days ago. Not only because I don’t believe in wearing this year’s marathon apparel until after the race is done, but also because I wasn’t ready for the new colors until I’d crossed that finish line again. I needed to keep wearing the blue and yellow of Good Friday. But now, the head-turning orange and blue felt like Easter. The race had been resurrected. With my own eyes, I’d seen Boylston Street alive once again – and this time, even more glorious and beautiful than ever before. The race had been resurrected. 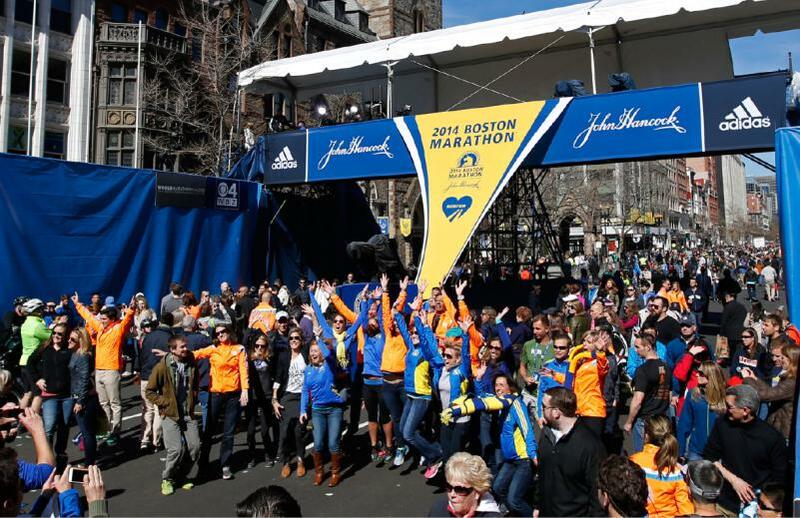 With my own eyes, I’d seen Boylston Street come alive again. And so I realized how fitting it was for this year’s Boston Marathon to fall on Easter weekend. Compared to God’s grand plan of redemption for the entire human race, this redemption was perhaps small. But it was tangible and compelling to me. Boston talked about it ceaselessly the way Jerusalem talked about Christ’s death and then, the implausible claims that he had been seen alive again. Could it really be? Could he have risen from the dead? The images of the marathon finish line covered in smoke and blood are seared forever in my brain. But I’ve seen it come alive again. Resurrection is possible. New life, new hope, new glory are possible. I have seen it. This year, I celebrated Easter. And I celebrated Resurrection Monday. Thanks be to God. The Easter colors of bright orange and blue stand out among the crowd.